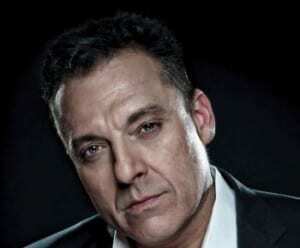 Tom Sizemore rose in prominence throughout the 1990s, establishing himself as a memorable tough guy character, sought after by the most respected directors in the business. Born in Detroit on 29 November, 1961, Sizemore grew up idolizing the tough guy characters of the movies he watched. After attending Wayne State University, he got his master’s degree in theater from Temple University in 1986. Like many he moved to New York City and struggled, waiting tables and performing in plays. His first break came when Oliver Stone cast him in a bit part in Born on the Fourth of July (1989). Bigger roles soon followed throughout the early 1990s, such as Guilty by Suspicion (1991), True Romance (1993), and Striking Distance (1993). 1994 proved to be an even bigger year for Sizemore, as he won the role of “Bat Masterson” in Kevin Costner’s star-studded biopic Wyatt Earp (1994), as well as one of his first truly memorable roles as “Detective Jack Scagnetti” in Oliver Stone’s controversial Natural Born Killers (1994). In 1995 he appeared in Devil in a Blue Dress (1995), Strange Days (1995), as well as the acclaimed crime epic Heat (1995), directed by Michael Mann. Sizemore’s first big leading role is in The Relic (1997), the big budget effects thriller directed by Peter Hyams. Specializing in the sort of ultimate tough guy/manly man roles that hearken back to a different era in film, Sizemore continues to be a favourite of Hollywood’s greatest directors. Never afraid to speak his mind about anyone and anything, his sense of blunt honesty and lack of pretentiousness is refreshing. A commanding voice and presence on film, Sizemore looks to continue as one of Hollywood’s greatest actors.